The UK charts had very little change to report last week as the summer holiday season rolls on. A lack of new releases meant that it was all about discounts and ongoing popularity, so from that perspective we saw some Nintendo titles hold up quite well. 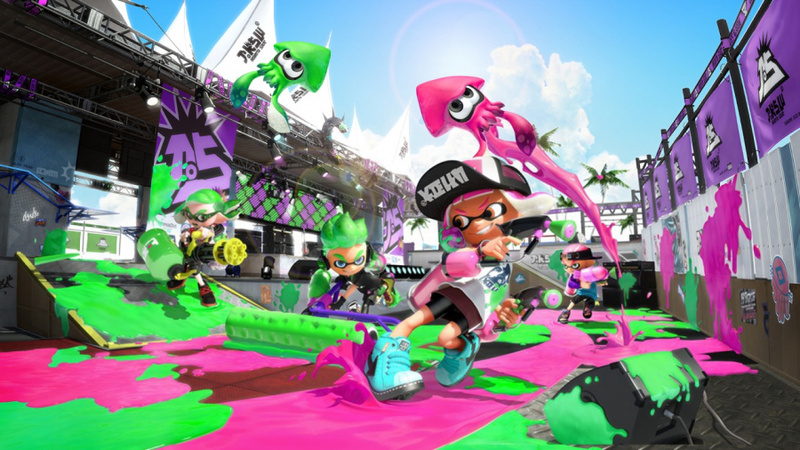 Splatoon 2 is still the highest-placed Switch title, though some price promotions on Bethesda games in particular helped to push it down to 6th; Crash Bandicoot N.Sane Trilogy is still leading the overall charts for PS4. In terms of Switch representation in the all-format top 40 we still have Mario Kart 8 Deluxe in 15th (up two from last week), while the current-gen version of The Legend of Zelda: Breath of the Wild is driving sales in 20th. Moving to 3DS, though, and we have Miitopia still in 8th place overall, which shows its sales haven't fallen away significantly since release; in fact it's the only title of the New 2DS XL-timed releases still in the top 40, with Hey! Pikmin now posted missing. Pokémon Sun is on the climb again and settled in 29th place, while Mario Kart 7 has reappeared in 39th spot. A handful of Nintendo titles are holding their own, then, with Miitopia providing to be a little more popular than this writer expected - the charms of Mii characters haven't been entirely forgotten, it seems. Good to see Miitopia doing well. I'll be honest, i was expecting Devilish Brain Training to be the one that did well and not Miitopia. To be fair i want the crash trilogy myself, but i'm not just buying a PS4 for it, PLEASE BRING TO SWITCH Yes, i know it will never happen, but can but hope. I hope Activision pays attention to the Crash trilogy sales and delves into other PS1 classics like Crash Team Racing and the Spyro games. Square remastering the PS1 Tomb Raider games would be fantastic too. I just hope all these come to XB1 or Switch. A lot of shops seem to be sold out of miitopia and the amazon price has shot up, looks like nintendo didn't expect it to do so well either! Miitopia is number five on the individual format chart & Splatoon2 is still number two, great job Nintendo. @Grumblevolcano they already confirmed they were impressed by the sales and are looking into the rest of their library. I think Push Square posted something about it. @Grumblevolcano i would love a spyro trio remaster. It was fantastic game. Honesty wish Nintendo would do some more remasters other then Zelda. Let's the Quirkiness of Miitopia keep going ! Good to see ol' Crash is still doing well, as Crash Bandicoot trilogy is a prime example of how a remaster should be done - every single developer out there should take careful notes. Now hoping for CTR to receive the same treatment! @Bunkerneath Not sure about Switch but it is launching for Xbox One later this year according to an European retailer. If they did a remake/remaster of Crash Team Racing then I hope they sort out the jumping mechanics, they were a bit dodgy on the original game. I forgot about Hey! Pikmin. Wow, that game has flopped hard. Not even in the chart in its second week of release. I wonder what Nintendo are telling themselves about its disaster. So I haven't checked a top seller chart before but... Really? DOOM and Battlefield are still there? Pretty much every 3DS game released in 2017 thus far outside of FE Echoes and Miitopia has bombed in the UK. Hey Pikmin sold well enough in other territories to be a modest success. Doom has been on special offer in the UK this last week. Plus, it's excellent. @electrolite77 Aaah that would explain it. And yes it certainly is excellent! As long as Nintendo don't think "hmmmmm, that rubbish spin-off failed, best put the whole series on the naughty step with F-Zero, Wave Race, Advance Wars etc." @fox_mattcloud Miitopia is a great game and it's enjoying good word of mouth. While it's a niche RPG by nature, it's still a fresh and new game concept instead of yet another Brain Training game. Tomodachi Life did very well in Europe, so I was wondering if Miitopia would be the same. @westman98 I wish Nintendo had properly advertised Ever Oasis. It deserved so much better. They're giving Miitopia a push that's for sure. I was in Smyths Toys the other day and they had a big display stand near the door for it. They seem to have the same level of interest in Ever Oasis as they did in Codename STEAM. Looks like the Mii-craze hasn't totally faded away after all. I never was a big Mii fan, but still might buy the game someday (the demo was more fun then expected). Doom still hanging there. Every fan of shooter games should play Doom 2016 if they can. Awesome game. Miitopia and Splatoon 2 are the top two most heavily played games in my house right now - particularly Miitopia! We rescued "Princess Mr. T", and the conflict between "her" competing suitors, "Kanye West" and "Mike Pence" has been resolved......Mike Pence got "the girl". Also, my party was kidnapped, and I had to form a new one. This new party includes, among others, Reggie Fils Aime, and his war cry?......"SEGA!!!" Interestingly, since it was mentioned in the article, the Crash remaster on PS4, I bought it on the same day that I bought Miitopia (Miitopia launch day), but it has seen much much less play than the aforementioned game, or even ARMS, for that matter. That one's still getting a lot of love from yours truly! Apparently, the UK Nintendo store doesn't share its sales data with the UK GfK Charts, which means Nintendo is not fully represented in the UK charts. @SLIGEACH_EIRE I'm not a fan of a series. However its sad to see it bomb so hard. Nice to see Mario Kart 7 make another appearance. Very good game IMO. Happy to see that Miitopia is doing well, wasn't so sure about it at first.